As the world reaches a tipping point in the AIDS fight, (RED) and its iconic partners Apple, Bank of America, The Coca-Cola Company and Starbucks marked World AIDS Day 2014 by rallying millions of people around the AIDS fight, and raising money for The Global Fund to fight AIDS, TB and Malaria. AIDS has killed nearly 39 million people since it was first discovered, but new statistics show we are finally at the “tipping point” of the disease, with more people getting access to life-saving treatment than those who are newly contracting the disease. This progress has been called “the beginning of the end of AIDS” and it is critical that we continue the momentum so we can finally end the AIDS pandemic. More than 15,000 people packed New York’s Times Square for a surprise World AIDS Day event – A (RED) Thank You Presented By (BANK OF AMERICA)RED – held to thank Americans for their leadership in the fight against AIDS. To date, 13 million people are receiving life-saving AIDS medicine in the developing world thanks in large part to US leadership and funding. 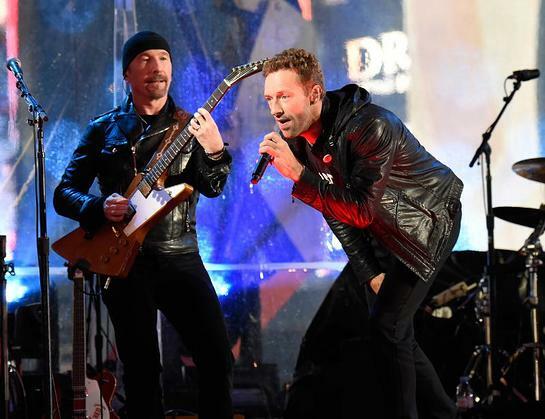 The concert included performances by Kanye West and Carrie Underwood, as well as by Adam Clayton, The Edge and Larry Mullen Jr. of U2, joined by Bruce Springsteen and Coldplay's Chris Martin. Springsteen and Martin each took a turn as frontman for U2 at the invitation of the entire band, as Bono remains under doctors’ orders to refrain from performing until fully recuperated from his injuries. All of the artists performing graciously donated their time and talents to save the World AIDS Day event from cancellation, following Bono’s bike accident. In addition to presenting the Times Square event, as part of a $10 million commitment announced earlier this year, Bank of America will donate more than $3 million to the Global Fund as a result of World AIDS Day activities. These efforts include donating 10 cents of every purchase when using the Bank of America debit card, and 40 cents for every social media engagement with a special video featuring (RED) co-founder, Bono. Additionally, on December 2nd, the Bank of America Winter Village at New York’s Bryant Park dedicated its annual holiday tree lighting to the AIDS fight. This year’s event was hosted by Sara Gore, New York Live and LX TV’s Open House front woman, and featured live performances from Ingrid Michaelson and Catey Shaw. From November 24 through December 7 a special section on the App Store, called Apps for (RED), offers 25 apps with exclusive new content. Every time a customer purchases a participating (PRODUCT)RED app or an exclusive In-App Purchase, all proceeds will go to the Global Fund. Among many others, Apps for (RED) includes Angry Birds, FIFA 15, Clash of Clans, OVER, Monument Valley and Kim Kardashian: Hollywood. Adding to the $75 million Apple has raised to fight AIDS since 2006, on World AIDS Day, Apple donates a portion of sales at Apple’s retail and online stores around the world. Plus, on Black Friday, Apple donated a percentage of gift cards distributed with the purchase of select Apple products. The Coca-Cola Company is partnering with (RED) to raise money and awareness through their “Share the Sound of an AIDS Free Generation” campaign. In collaboration with Omaze, a leading fundraising platform that specializes in offering the chance to win once-in-a-lifetime experiences, fans can donate to win special experiences include going backstage with Bono and receiving a signed (GRESTCH)RED guitar, joining Avicii on stage, seeing Queen and Adam Lambert on tour, or spending the day with OneRepublic. 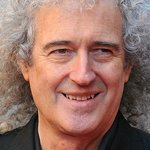 In addition, new tracks from Queen featuring Freddie Mercury's vocals, Wyclef Jean & Avicii, Aloe Blacc and OneRepublic have been released on iTunes with proceeds going to the Global Fund. Having raised more than $12 million for the Global Fund, (RED) partner Starbucks will make a donation to fight AIDS for every handcrafted beverage sold on December 1 across participating stores in the US and Canada. For the first time this year, fellow (RED) partner Bank of America will match Starbucks’ 10 cent donation when My Starbucks Rewards members purchase a handcrafted beverage with a registered Starbucks Card at participating U.S. stores. “We know that an AIDS Free Generation can become a reality in a few short years, so we are beyond proud to see our partners applying their smarts, creativity and commerce to show the world what can be achieved when we sharpen our focus on the fight”, said Deborah Dugan, CEO, (RED). •	Buy “Joel the Lump of Coal”, the extraordinary new track from The Killers in support of the fight against AIDS. The track is The Killers’ ninth song for (RED), and is available to download on iTunes with proceeds going to the Global Fund. •	Buy any Beats headphones or speakers on December 1 and a portion of proceeds will go to the Global Fund. •	Book tickets through Live Nation or Ticketmaster until December 14 and add a $5-25 donation to (RED)’s fight against AIDS. •	Buy a beautiful bottle of (BELVEDERE)RED and 50% of the profits go to fight AIDS. •	Run a (TELCEL)RED 5k or 10k road race on December 7 in Mexico City. •	Buy the new (aden+anais)RED limited edition swaddle pack designed in collaboration with Jessica Alba, Gwen Stefani and Rachel Zoe, and 100% of the profits will go to fight AIDS. •	Give the gift of small business with the SQUA Reader, which enables merchants to run their businesses while helping fight AIDS. •	Buy the new (MOLESKINE)RED Special Edition #oneREDday Collection including a notebook, planner, pen, and luggage tag and help fight AIDS. •	Buy a (FATBOY)RED product from FatboyUSA.com on December 1 and Fatboy will double their contribution to the Global Fund. A (RED) Thank You Presented By (BANK OF AMERICA)RED was broadcast live on YouTube, and radio across the US including iHeart Radio which became iHeart (RED) for World AIDS Day. The event was also broadcast as part of ESPN’s Monday Night Countdown.